It all started with an idea to reach out to like-minded people who are out to change the world—the influencers. When I realized that one of our favorite influencers would be holding an event only a seven-hour drive away, I alerted the team! And, as the multiverse would have it, our producer/partner Dana Jones and her husband Gene of EICM would be spearheading a Waste Conversion Conference in San Diego during this time (and there was room at the inn!). In a twist to the classic tale, we didn’t ride camels—though I was sitting in a camel-colored seat within a camel-colored car…. We did bring gifts—books, a CD, and heart-to-heart hugs. And we wore essential oils. So our story continues to unfold. The film trilogy we are planning includes reflections from GOD—an essential “character” in the scheme of things. And we aim to surprise you, enlighten you, and amuse you with this omni-presence. We reached out to expand the eventuality for the GOD character (knowing that GOD can appear in many ways). And, this time, it isn’t Morgan Freeman! 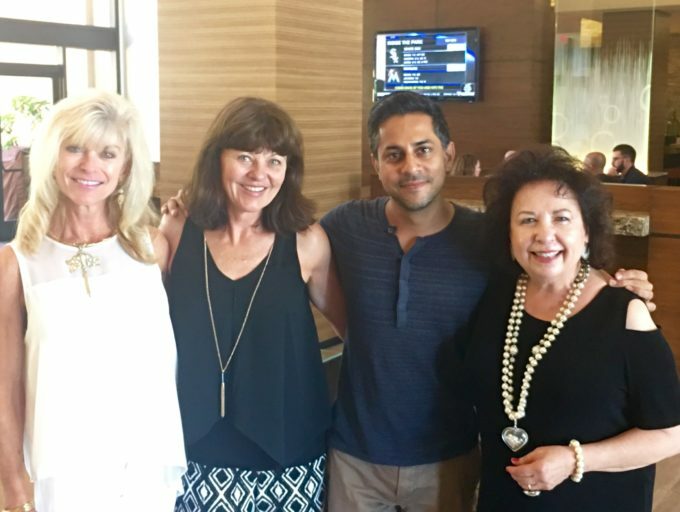 Our search landed us in La Jolla, California where we met with Vishen Lakhiani, CEO of mindvalley and orchestrator of A-Fest. Over breakfast and up until lunch, we connected in a corner booth and talked about the realm of possibilities. With this collaboration, we have made another quantum step forward in this movie-ment. On our way, we met so many wonderful people. 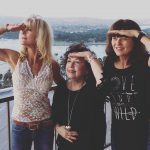 Another soul sister, Ange McNally, Chief Listening & Empowerment Officer (CLEO) of Mind & Matter, who was, like us, dressed in black & white, connected with us in the coffee line (flash back to Traci and Dana). 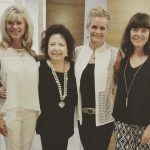 Ange is from upper Arlington, OH where Sherry Anshara cleared a building for her dear friend and client, Catherine Vonderahe, who opened the successful South of Lane Cafe (the first restaurant, ever, in upper Arlington—and it rocks with intentional success). There, intentions were set with words written all over the walls. Small world. Gigantic connections. Our journey included making the acquaintance of Pierre Chammas, owner and CEO of MegaFuel in El Cajon, CA, who saved the day after Kearny Pearson Ford declined (can you say, #fail) filling air in the tires of our ride—the camel-colored Ford Explorer. Just down the road from this Ford dealership was the oasis known as MegaFuel where Pierre assisted us with kindness (and he would not take a tip for his efforts—insisted we donate it to those in need). Blessings indeed. So many wonder-filled moments completed this leg of a journey. We continue to experience the joy of stepping in the direction of our dream. And we can’t wait to entertain you with enlightenment.